Happy Friday! It’s been a full and fun week over here. 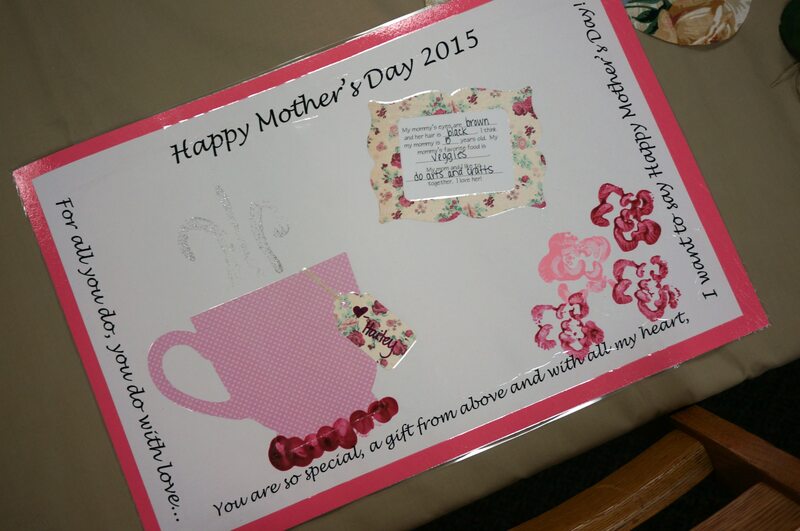 The Mother’s Day Tea at Hailey’s school went above and beyond my expectations. The kids sang songs, gave us a special gift, showed us pictures of us they had drawn, and perhaps my favorite- had the kids answer a couple of questions. Can I tell you how happy I am that Hailey didn’t fill in that favorite food space with wine?! 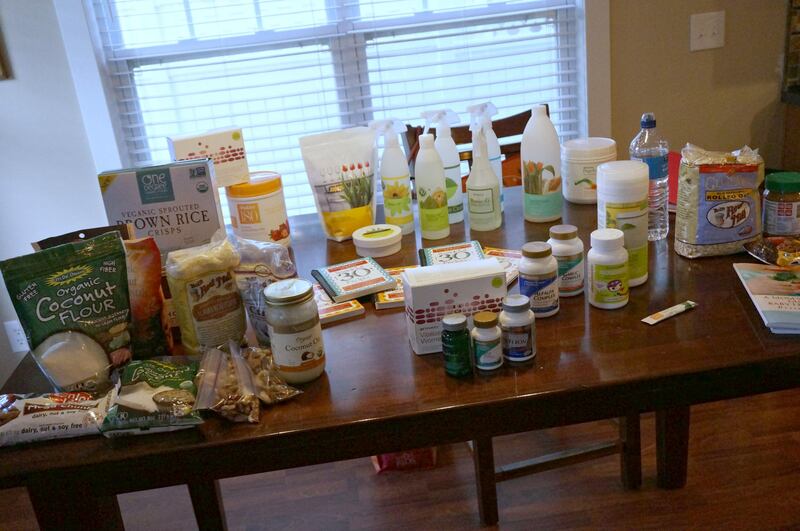 I also helped host a Spring into Health event this week with my friends Brooke and Cheryl. Though public speaking isn’t natural for me (about 20 people in attendance makes that public speaking in my eyes! ), it is always energizing to get in a room full of women that are passionate about health. In other news, renovations are still in full swing. Sick of me talking about it yet? The tiling is done and grouting is happening today. We are doing a couple of things to our deck too, so basically it’s a revolving door of people in our house and Koda may go hoarse from the excitement. Me? I’ve jumped on the ‘if you can’t beat them, join them” bandwagon and let the girls join in on the mayhem. 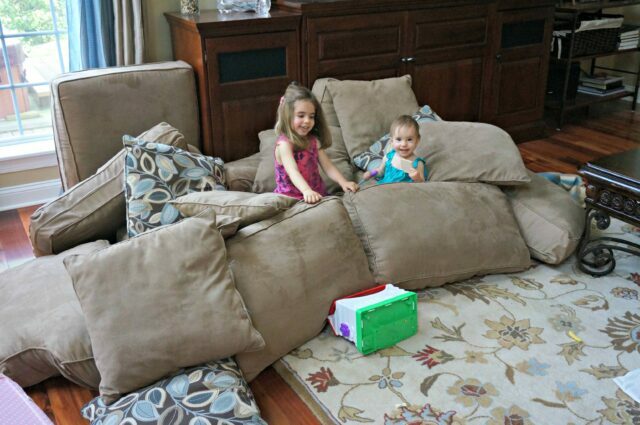 Pillow forts remind me of my childhood. Good for the soul. Can I tell you what an incredible success the TV tokens have turned out to be? It’s eliminated the incessant asking and when they are gone, she can see and accept it. 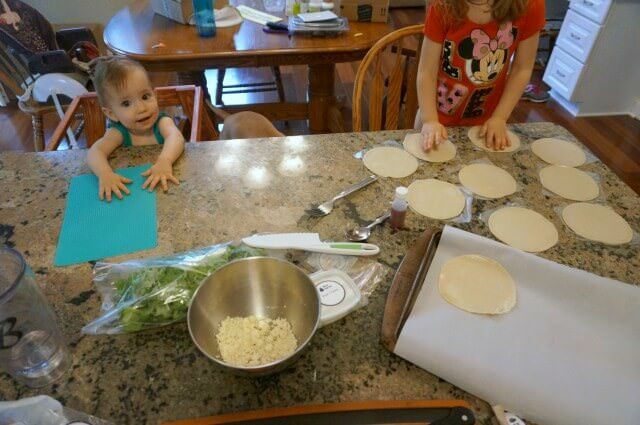 It’s lead to much more enjoyable afternoons and both girls have really big on wanting to help with cooking dinner lately. Hailey has woken up from nap asking if we can get out the ‘green ants’ immediately. It took me 5 minutes of questioning to realize she was saying INGREDIENTS. That’s the latest from around these parts. Here are a few posts I’ve read that I enjoyed lately too. On Being a Boy Mom by Molly – obviously I can’t relate but still found this to be such a sweet post! Why I’m Jealous of Old People by Katie – I just love Katie’s blog. So real and often makes me giggle. Read anything you’ve loved lately? Share it with me and have a fabulous Friday! And a special virtual hug to all the wonderful moms I know, including you guys, friends and family! Especially my own mom, David’s mom and my Nannie and Grandma Betty. Moms are the glue of our family and I SO appreciate you all! Happy Mother’s Day weekend! That TV token thing is pretty genius. I am totally saving that one for my son! Happy Mothers Day!!! I am SO obsessed with the idea of homeschooling. I just keep reading that Mom’s who’ve spent a good amount of time with their 3/4 year olds teaching them numbers, shapes, the alphabet, etc, hate sending them to Kindergarten for a year JUST to re-learn everything they already know! I’m trying to talk Travis into letting me homeschool until 3rd grade. What was the Health event you hosted for? You are a great Mom! Enjoy the pillow forts often. John J. recently posted..Motherhood: A Body And Soul Adventure! I love pillow forts! That mother’s day event looks like it was so much fun! And I’m glad to hear the TV tokens are working out!! Pillow forts are the best! My Mom used to help me and my brother make forts when we were little. She’d drape sheets over the couches in the living room and we’d read in the fort all afternoon! So fun! 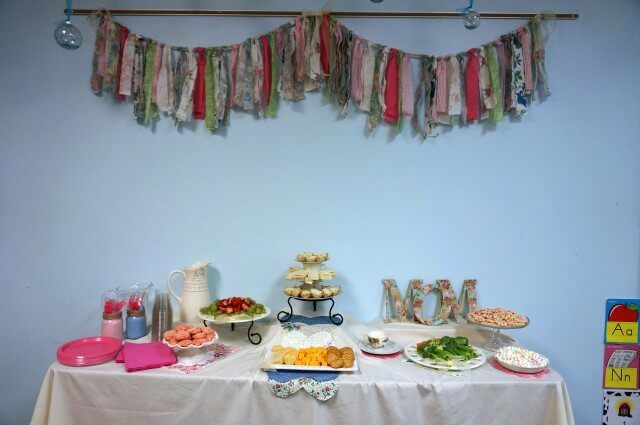 Mother’s Day tea is such a cute idea! Have a great weekend and Mother’s Day! What a fun collection of fluff! I’m happy to hear that your renovations are moving along. I can imagine the chaos at your house and it’s great to hear that doing stuff like making pillow forts is keeping it light. Have a great weekend. Marnie @ SuperSmartMama recently posted..Let’s Have Coffee! sometimes it’s better to join them, ha! Happy Mother’s Day! OMG I love that Hailey guessed you are 5 years old. That’s a gem to pull out when she is in high school. Or when she turns 5! That is sweet Hailey’s school put on a tea for the moms! Love that idea. Also, I am glad to hear the TV tokens have been working! Green ants = ingredients.. hilarious! I always love the little stories from your girls. I have no clue what it entails to homeschool a child, but something tells me you would be amazing at it. I think your itch to do it may be a sign. But then again, I am an eighteen year old with no experience of motherhood. 😉 However, my mom homeschooled me for pre-school, and though I hardly remember much, I do know that we had a lot of fun! Maybe you could try it for a year. Julia @ Lord Still Loves Me recently posted..Where my head is at. Green ants! That is too funny. How stinking cute! Is that homemade tortillas you’re making with your girls? I would love your recipe if they are! I’ve been thinking of making thenm from scratch. SO sweet. I can’t wait for adorable Mother’s day things with my son. I made the Grandmothers cards using paper that I had my 11 month old scribble on with crayons, and I was like, I can’t wait until someone puts this much effort into something like this for me!! Great post! I love the card the teachers put together for your tea. So glad the TV tokens are working. I thought it sounded like a great idea… I also think you’d be great at homeschooling. Can’t wait to see the finished bathroom! Happy Mother’s Day! The Mother’s Day tea is so cute! I hope Matilda’s school does that! Green ants – I love it! I hope you have a wonderful Mother’s Day!